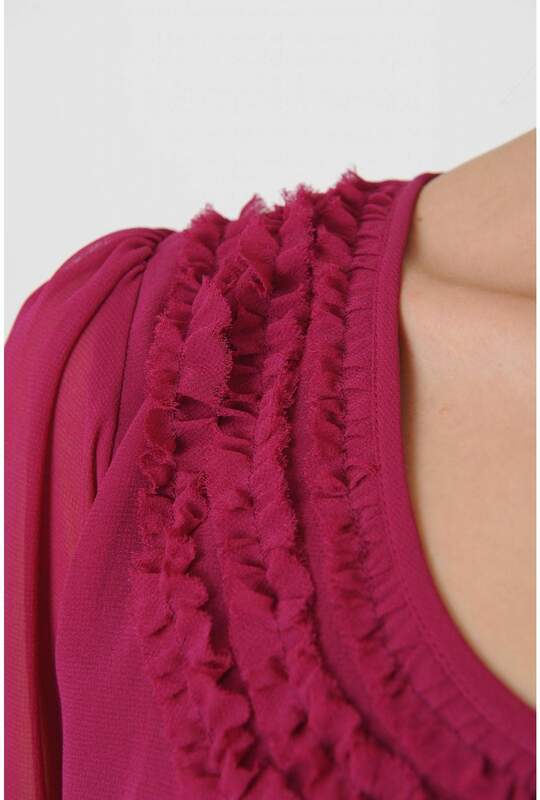 A beautiful boysenberry dress with frill cuffs and neck. Understated yet elegant; this dress provides instant glamour and is a great option for those who want a night out without the fuss. Team with black tights and heels to complete the look.